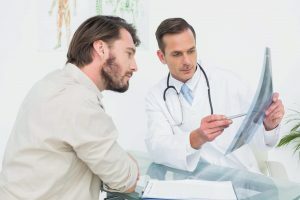 If your physician has told you that you need surgery, you may want to explore your non-surgical treatment options first. There are a number of conditions, from back pain to clogged arteries in the heart, for which there may be effective, non-surgical treatments. Are there non-surgical treatments that I could try before surgery? What are the risks and benefits of surgical approaches versus non-surgical approaches? How long can I wait before deciding if I want to have the surgery? What will happen if I decide to try another type of treatment first or decide not to have surgery? If there aren’t non-surgical approaches, are there any minimally invasive procedures? How do the results compare with the traditional surgical approach? Will trying other treatments first make it less likely for surgery to work? By getting answers to these questions, you can start to gather the information you need to make an informed decision. Several studies have suggested that there are a range of surgical procedures that may be overused and that approximately 30 percent of common surgical procedures were provided for reasons that were not supported by clinical research and may have harmed the patients. Low back pain: Depending on what’s causing your back pain, how long you’ve had the pain and how severe it is, physical therapy or moderate, low impact exercise may be a good place to start treating your pain. Physicians also suggest losing weight, if you’re overweight, to lessen the strain on your back. Clogged arteries in the heart: Some studies suggest that angioplasty and stent placement, a minimally invasive procedure where blocked arteries in the heart are opened using a balloon inserted via a blood vessel in the groin or arm and propped open with a mesh tube, is performed on patients with stable coronary artery disease for whom other treatments may be equally or more effective. Ask your doctor if there are medications and lifestyle changes, like losing weight and getting active, that you could try before the surgical approach. Knee pain: Recent studies have found that people may be opting for knee replacement before they actually need it and before the surgery will provide significant improvement in the knee’s ability to function and the patient’s pain. For knee pain, consider trying lifestyle modifications like losing weight, physical therapy and hyaluronic acid, steroid or cortisone knee injections first. It’s also wise to get a second opinion when surgery is recommended. Seek a second opinion from a physician who has experience treating the condition you’ve been diagnosed with. It may also be helpful to get the second opinion from a specialist who is not a surgeon, because that physician may be better versed in the available, non-surgical treatment options. A personal health advisor can also provide you with evidence-based, objective information about all your treatment options to help you make your decision.